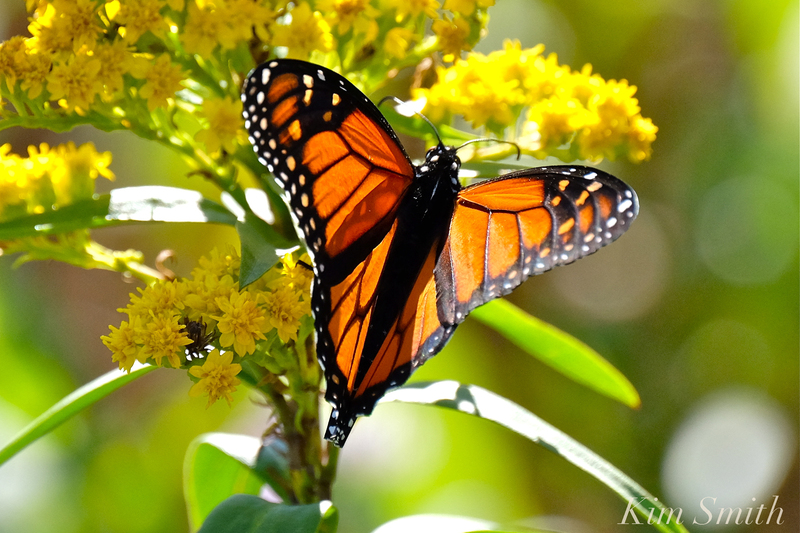 If we’ve spoken recently, then you know that over the past months I have been adding new scenes, from the Monarch migration of 2017, and from our most recent beautiful fall migration of 2018. This past week we screened the film for my two amazing producers Lauren and Susan (they both loved it and provided excellent feedback!). In the coming weeks the film next goes to an audio engineer and to a film “finisher,” with the goal of having a final cut in hand by the end of spring. I’ll be sending updates more frequently now that the project is beginning to spread her wings. A beautiful Mama Monarch came into our garden and deposited nineteen eggs. Now they are chrysalises, all nineteen. If you see a butterfly in your garden curling her abdomen around to the underside of a leaf, know she is ovipositing an egg. 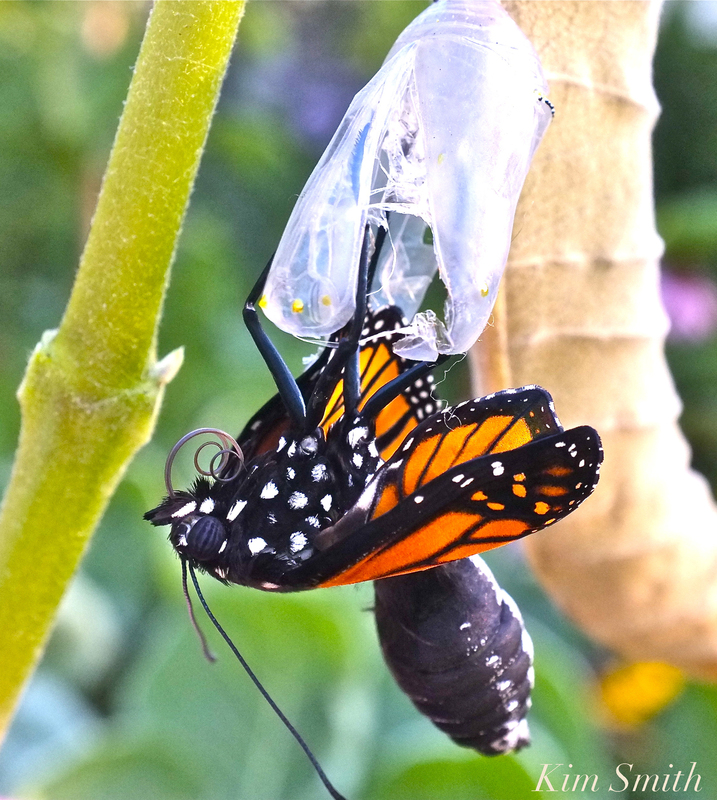 Monarch eggs and caterpillars have about a ten percent rate of survival in the wild–in my kitchen terrariums, they have a 100 percent chance of becoming an adult butterfly. 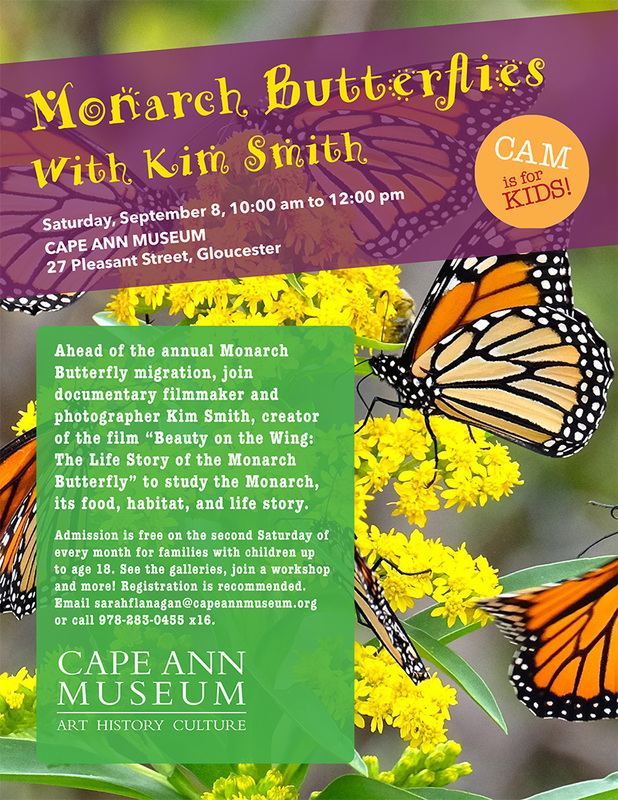 KIM SMITH AT THE CAPE ANN MUSEUM! #GivingTuesday is a global day of giving. Everyone, anywhere can participate! By supporting Beauty on the Wing your fully tax deductible gift directly enables us to create a final cut, contributes to the music and map rights, to the cost of festival submissions, promotion, and publicity. Your voice is powerful. If you are unable to give this Giving Tuesday, please help support Beauty on the Wing by spreading the word through a Facebook share or a retweet. MY DEEPEST THANKS AND APPRECIATION TO LAUREN MERCADANTE (PRODUCER), SUSAN FREY (PRODUCER), NEW ENGLAND BIOLABS FOUNDATION, BOB AND JAN CRANDALL, MARY WEISSBLUM, SHERMAN MORSS, PETE AND BOBBI KOVNER (ANNISQUAM AND LEXINGTON), JAY FEATHERSTONE, MIA NEHME (BEVERLY), CHICKI HOLLET, JUNI VANDYKE, ERIC HUTCHINSE, KAREN MASLOW, MARION F. (IPSWICH), ELAINE M., KIMBERLY MCGOVERN, MEGAN HOUSER (PRIDES CROSSING), JIM VANBUSKIRK (PITTSBURGH) NANCY MATTERN (ALBUQUERQUE), DONNA STOMAN, PEGGY O’MALLEY, JOEY C., CATHERINE RYAN, JOEANN HART, JANE PAZNIK BONDARIN (NEW YORK), ROBERT REDIS (NEW YORK), NUBAR ALEXANIAN, PETER VAN DEMARK, PATRICIA VAN DERPOOL, FRED FREDERICKS (CHELMSFORD), LESLIE HEFFRON, JIM MASCIARELLI, DAVE MOORE (KOREA), LILIAN AND CRAIG OLMSTEAD, JOHN STEIGER, PAT DALPIAZ, AMY KERR, BARBARA T. (JEWETT, NY), ROBERTA C. ((NY), MARIANNE G. (WINDHAM, NY), PAULA RYAN O’BRIEN (WALTON, NY), MARTHA SWANSON, KIM TEIGER, JUDITH FOLEY (WOBURN), PATTI SULLIVAN, RONN FARREN, SUSAN NADWORNY (MELROSE), DIANE LINDQUIST (MANCHESTER), HEIDI SHRIVER (PENNSYLVANIA), JENNIFER CULLEN, HOLLY NIPPERUS (BROOKLYN). TOM HAUCK, AND ANONYMOUS PERSONS FOR THEIR GENEROUS HELP. $23,960.00!!! RAISED FOR BEAUTY ON THE WING DOCUMENTARY! THANK YOU KIND DONORS!!!!!!!!!!! WITH THE GREATEST APPRECIATION FOR OUR COMMUNITY OF FRIENDS AND SPONSORS, I AM OVERJOYED TO SHARE THAT TO DATE WE HAVE RAISED $23,960.00 FOR THE DOCUMENTARY FILM “BEAUTY ON THE WING” ONLINE FUNDRAISER!!! MY DEEPEST THANKS AND GRATITUDE TO LAUREN MERCADANTE (PRODUCER), SUSAN FREY (PRODUCER), NEW ENGLAND BIOLABS FOUNDATION, BOB AND JAN CRANDALL, MARY WEISSBLUM, SHERMAN MORSS, JAY FEATHERSTONE, GARTH GREIMANN (CAMBRIDGE), JUNI VAN DYKE, MARION F., ELAINE M., KIMBERLY MCGOVERN, MEGAN HOUSER (PRIDES CROSSING), JIM VAN BUSKIRK (PITTSBURGH), NANCY MATTERN (ALBUQUERQUE), DONNA STOMAN, PEGGY O’MALLEY, JOEY C., CATHERINE RYAN, JOEANN HART, JANE PAZNIK BONDARIN (NEW YORK), ROBERT REDIS (NEW YORK), NUBAR ALEXANIAN, PETER VAN DEMARK, PATRICIA VAN DERPOOL, FRED FREDERICKS (CHELMSFORD), LESLIE HEFFRON, JIM MASCIARELLI, DAVE MOORE (KOREA), LILIAN AND CRAIG OLMSTEAD, JOHN STEIGER, PAT DALPIAZ, AMY KERR, BARBARA T. (JEWETT, NY), ROBERTA C. ((NY), MARIANNE G. (WINDHAM, NY), PAULA RYAN O’BRIEN (WALTON, NY), MARTHA SWANSON, KIM TEIGER, JUDITH FOLEY (WOBURN), PATTI SULLIVAN, RONN FARREN, SUSAN NADWORNY (MELROSE), DIANE LINDQUIST (MANCHESTER), HEIDI SHRIVER (PENNSYLVANIA), JENNIFER CULLEN, TOM HAUCK, AND ANONYMOUS PERSONS FOR THEIR GENEROUS HELP. 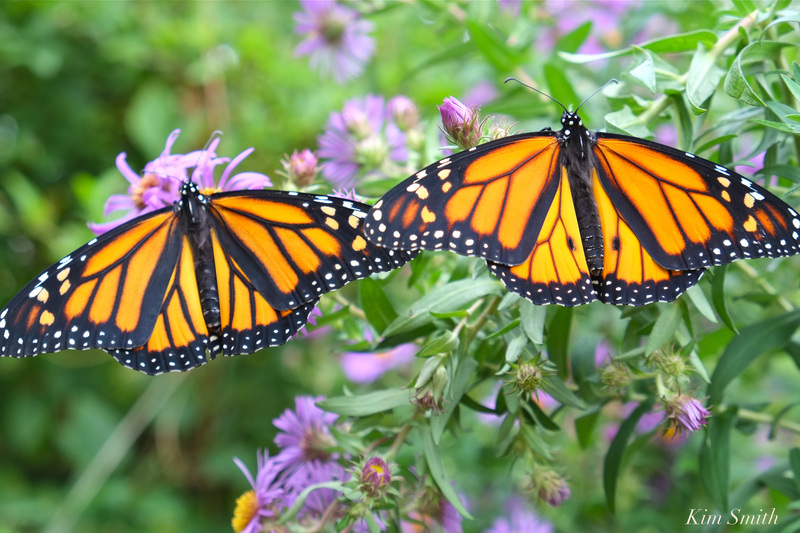 THE LATE GREAT MONARCH MIGRATION CONTINUES AND THANK YOU KIND DONORS FOR CONTRIBUTING TO “BEAUTY ON THE WING” $5,300.00 RAISED TO DATE!!! 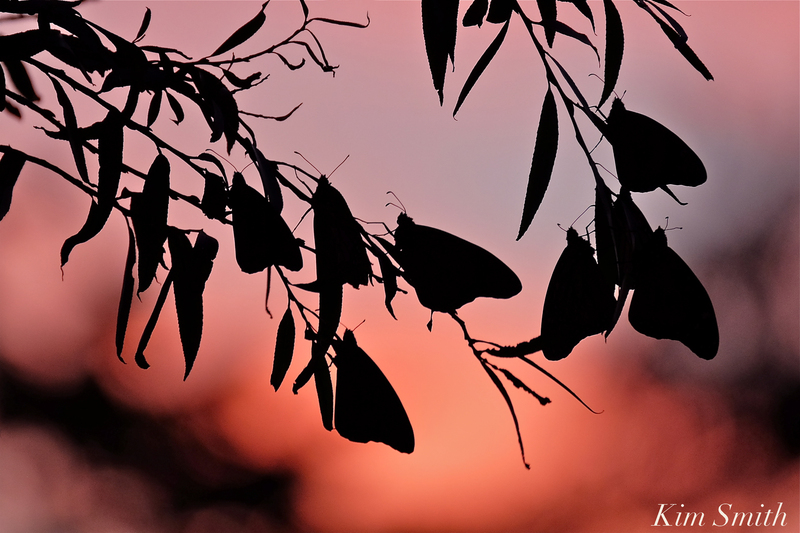 WITH THANKS AND GRATITUDE TO THE KIND GENEROSITY OF OUR COMMUNITY, TO DATE WE HAVE RAISED OVER $5,300.00 FOR MY DOCUMENTARY FILM “BEAUTY ON THE WING: LIFE STORY OF THE MONARCH BUTTERFLY” ONLINE FUNDRAISER!!! 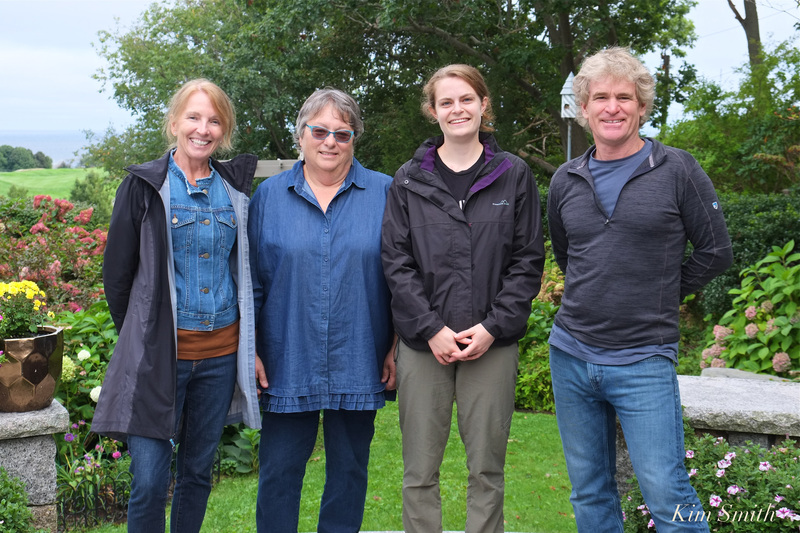 MY DEEPEST APPRECIATION TO NEW ENGLAND BIOLABS FOUNDATION, LAUREN M., MARION F., ELAINE M., DONNA STOMAN, PEGGY O’MALLEY, JOEY C., CATHERINE RYAN, JOEANN HART, JANE PAZNIK BONDARIN AND ROBERT REDIS (BOTH FROM NEW YORK), NUBAR ALEXANIAN, PETER VAN DEMARK, PATRICIA VAN DERPOOL, FRED FREDERICKS (CHELMSFORD), LESLIE HEFFRON, JIM MASCIARELLI, DAVE MOORE (KOREA), LILIAN AND CRAIG OLMSTEAD, JOHN STEIGER, PAT DALPIAZ, AMY KERR, BARBARA T. (JEWETT, NY), ROBERTA C. ((NY), MARIANNE G. (WINDHAM, NY), TOM HAUCK, AND ANONYMOUS PERSONS FOR THEIR GENEROUS HELP. 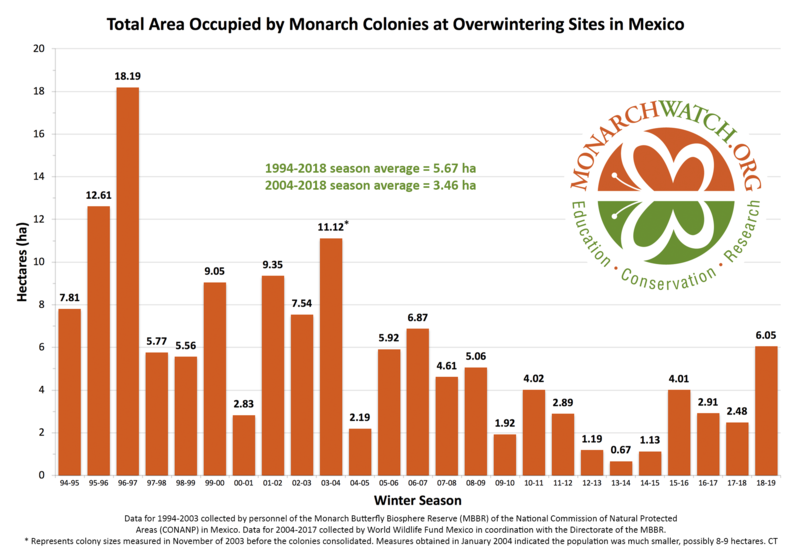 The Monarchs migrating through our region, although higher in number than in recent years, are also later than usual. The greater numbers are attributed to the tremendous amount of eggs and caterpillars reported this summer and, too, the beautiful warm weather we are enjoying has allowed eggs, caterpillars, and chrysalides to mature. 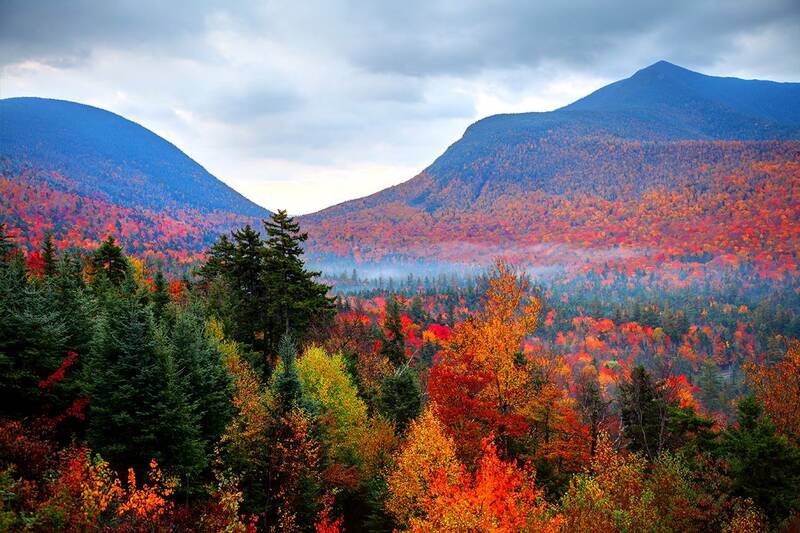 In a typical year, the onset of colder autumn temperatures would have halted the larvae’s development. 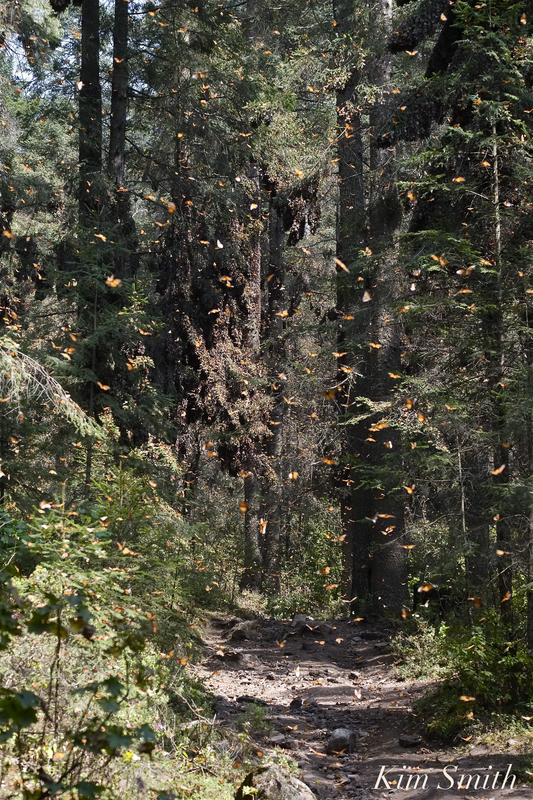 Hopefully, the Monarchs will arrive to the sanctuaries in Mexico before the cold puts the kibosh on this late migration. 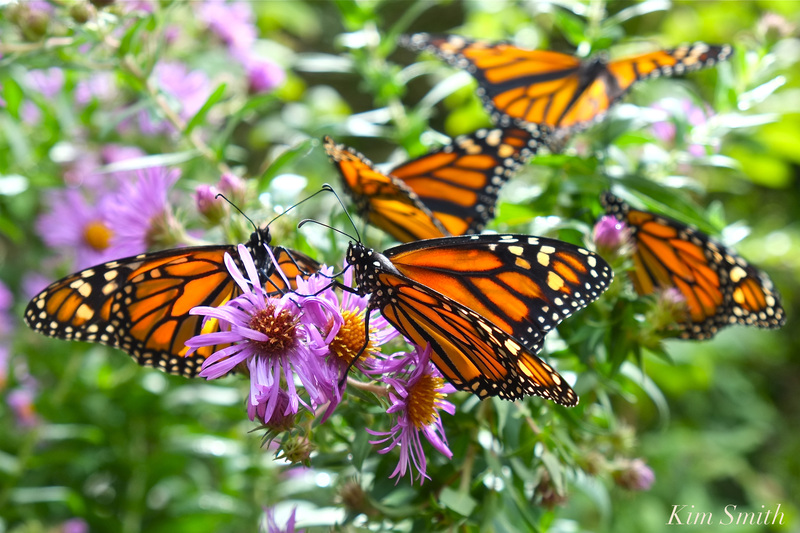 Another problem facing the Monarchs is that most flowers have cycled through their bloom power. 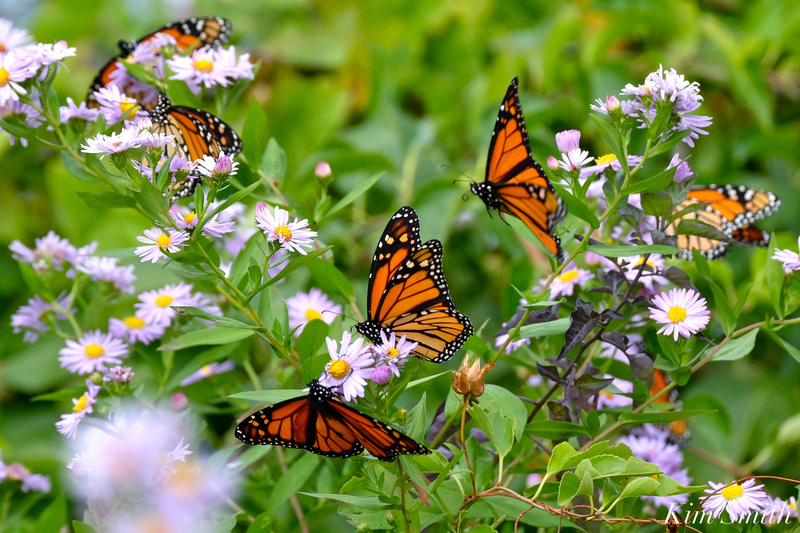 The butterflies will be challenged to find nectar producing flora to fortify them on the journey south. This type of ecological mismatch is increasing and very negatively affects wildlife species worldwide. 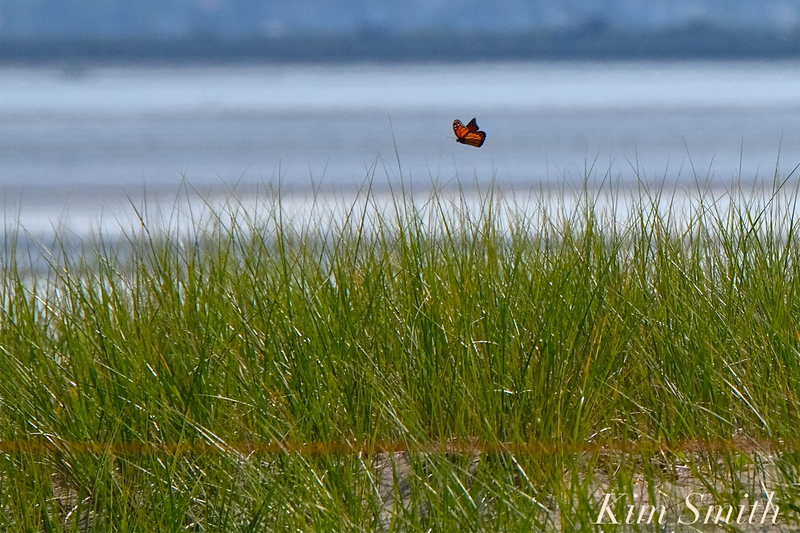 Today, October 19, there were about two dozen Monarchs at Eastern Point. The only wild plants in bloom at the Point are Purple-stemmed Asters and dandelions. 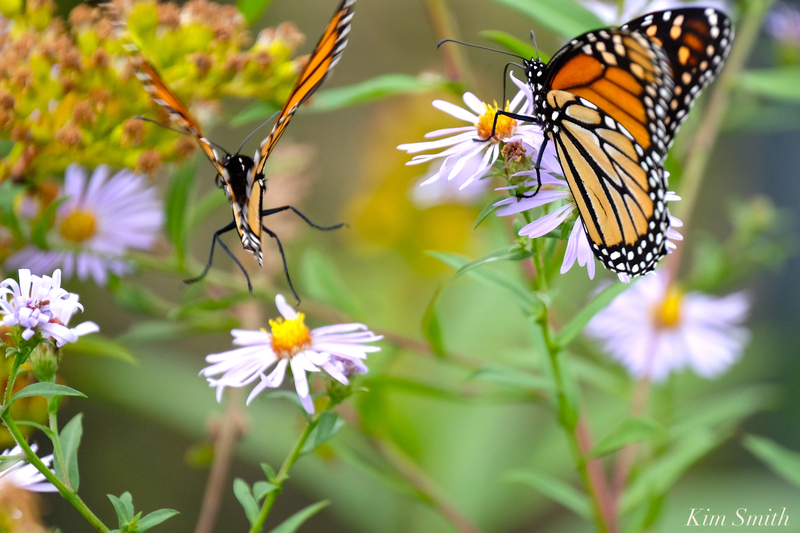 As the effects of global climate change pose increasing threat to wildlife, we can help the migrating butterflies, and all pollinators, by planting nectar-rich flora that blooms in succession from April through November. These actions will help mitigate some of the mismatching happening right now. One sleepy little Monarch in the trees this morning at daybreak. 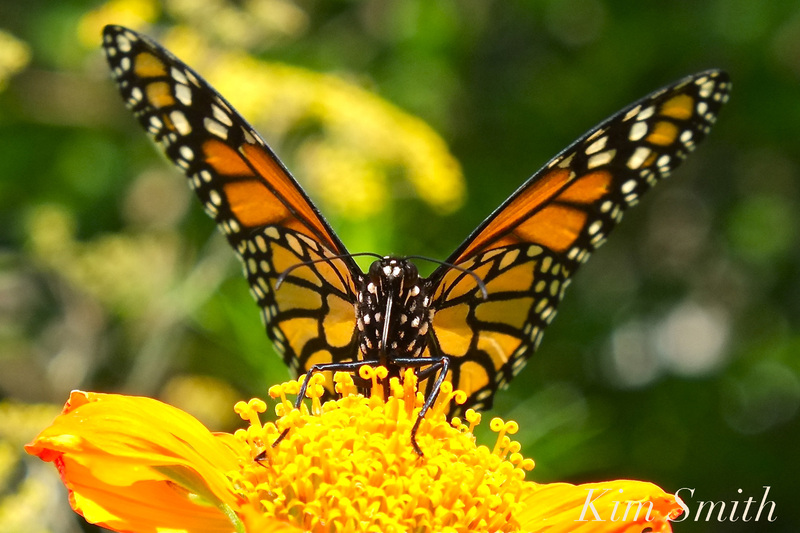 How You Can Help Fund My Monarch Butterfly Film! Today I am excited to launch the online fundraising campaign for my documentary film Beauty on the Wing: Life Story of the Monarch Butterfly. 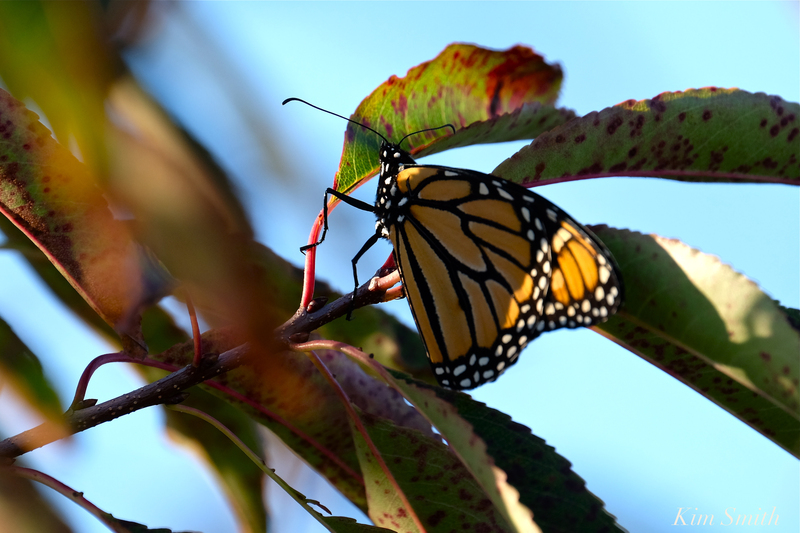 This film—more than five years in the making—chronicles the extraordinary story of the Monarch butterfly. Tiny creatures, each weighing less than a paperclip, journey thousands of miles from their northern breeding grounds, of which Cape Ann is an integral part, to the trans-volcanic mountaintops of central Mexico. The most magical thing is that their story unfolds in our own backyards, marshes, meadows, and fields. 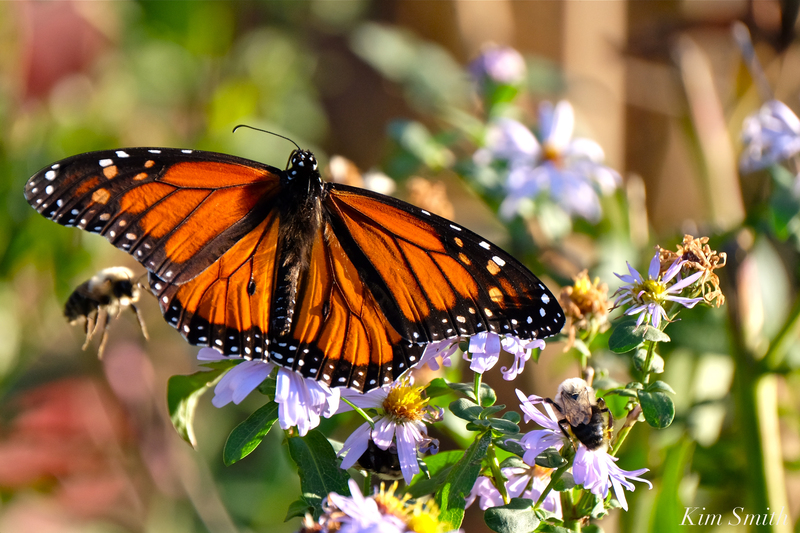 Beauty on the Wing reveals the interconnection between the butterfly’s habitat and wildflowers and the importance of conserving their ecosystems. 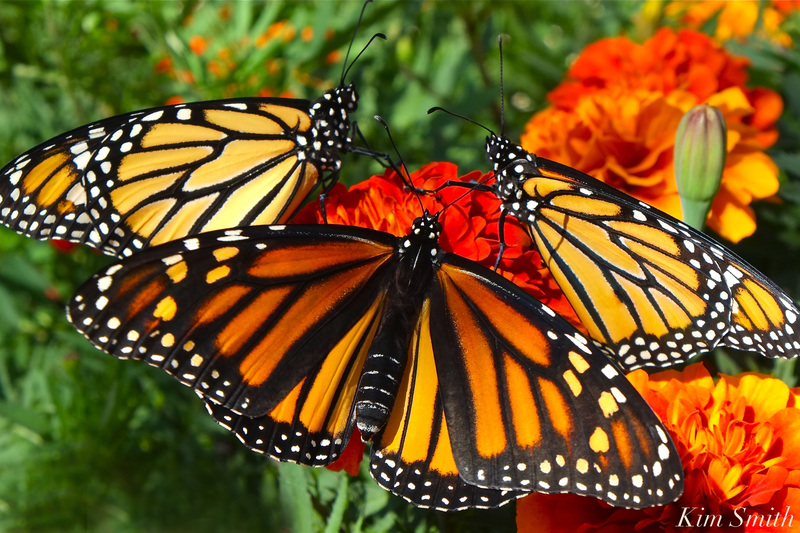 The film is unique in that every stage of the butterfly’s life cycle is recorded in vibrant close-up in the wild, both on Cape Ann and in Mexico. The current goal is to raise funds to create a 55-minute feature-length final cut to distribute to elementary schools nationwide. My fundraising partner is the nonprofit Filmmakers Collaborative and donations are tax deductible. Please consider donating what you can. No donation is too small ($5, $25, $100) and every dollar helps get us one step closer to completing the film. Donors contributing over $5,000 will be listed in the credits as a film producer. Pure magic in the marsh this morning! 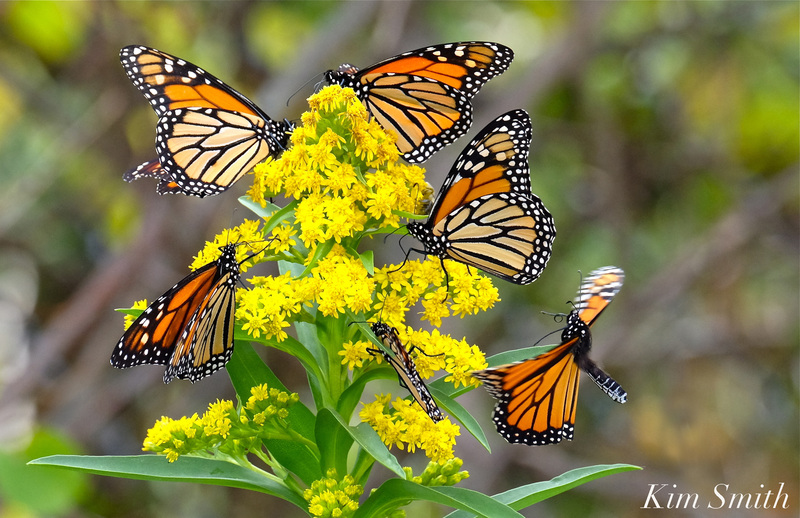 For one moment, there were eight Monarchs on this single spray of Seaside Goldenrod. 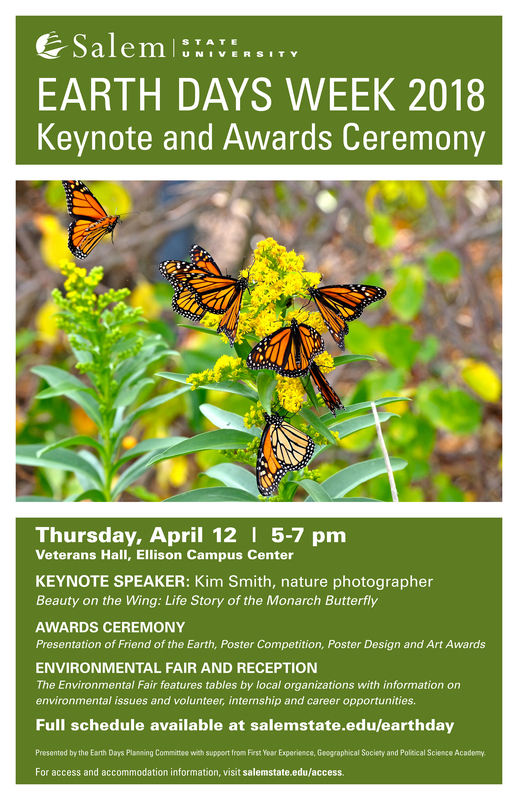 Beauty on the Wing ~ Life Story of the Monarch Butterfly is a documentary film that tells the story of the monarch butterfly at it unfolds along the shores of Cape Ann and in the heart of Mexico’s forested volcanic mountains. Filmed in Gloucester, Massachusetts and Angangueo, Michoacán, the film illuminates how two communities, separated by 3,000 miles, are ecologically interconnected. 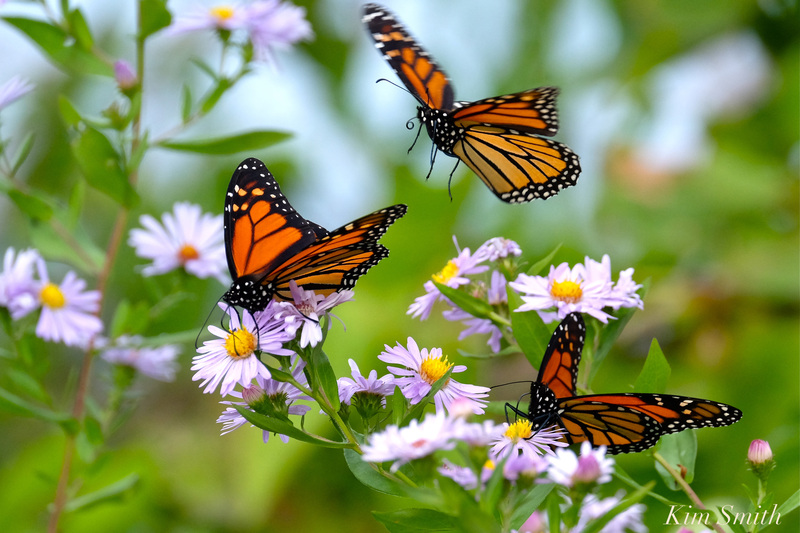 Every stage of the butterfly’s life cycle is experienced in vibrant close-up, from egg to caterpillar to adult. Set against the background of sea and forest, sun and wind, by the millions and millions the intrepid monarchs journey thousands of miles. 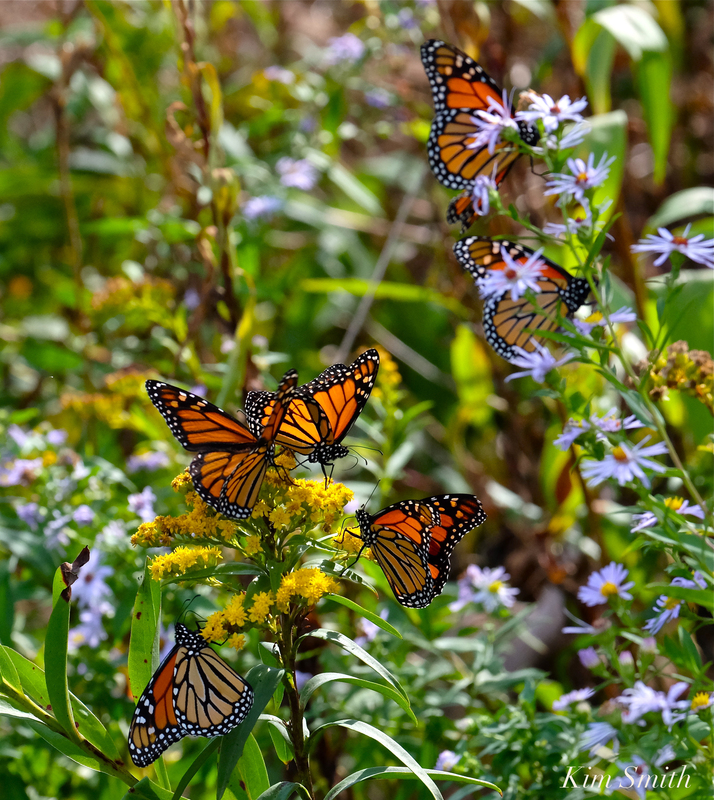 The most magical thing is that this migration happens in our midst, taking place in backyards, farms, meadows, and along the shoreline, wherever milkweed and wildflowers grow. The story opens in the industrial port of Gloucester, Massachusetts. Well known for her legendary fishing industry, Schooner Festival, Italian feasts and fiestas, rich artistic heritage, and stunning coastline, Gloucester makes up much of the peninsula of Cape Ann, located on the coast of Massachusetts just north of Boston. 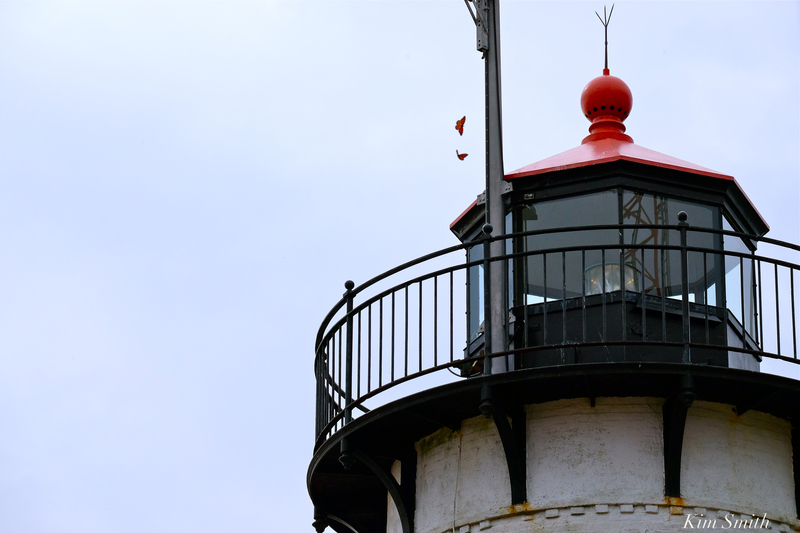 As are most regions along the length of the Eastern Seaboard, Cape Ann lies within a largely unrestricted north-south corridor for migratory species of birds and butterflies. This means that birds, butterflies, and other insects travel along the Atlantic flyway without being impeded by either mountain ranges or large bodies of water to cross. There is a tremendous sense of urgency in this great movement of life. Whether traveling by land or by sea, wildlife must reach its seasonal destination while life-sustaining food is abundant. Cape Ann and Angangueo emerge as characters in the film, places where we have much to gain by preserving the habitats of these unique ecosystems and where, through neglect, the loss will be devastating. 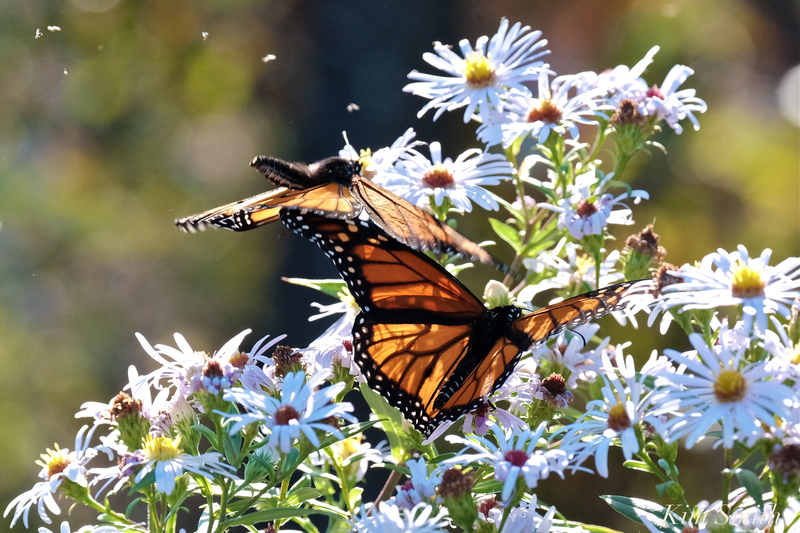 Beauty on the Wing is a film for all ages, created for all to gain a deeper understanding of the symbiotic relationship between habitats, wildflowers, and pollinators, and the vital role that they play in our interconnected ecosystems. I can’t wait for this film. Will there be a CD. Have doing Monarch Tagging and Oe sampling for 5 years and have been doing presentation to school kids. Also, I am a Texas Master Naturalist – Galveston Bay Chapter. Thanks Vic. You are doing great work,. Yes, there will be a CD and I plan to do screenings throughout the country. Thank you for your interest. Updates will be posted here. 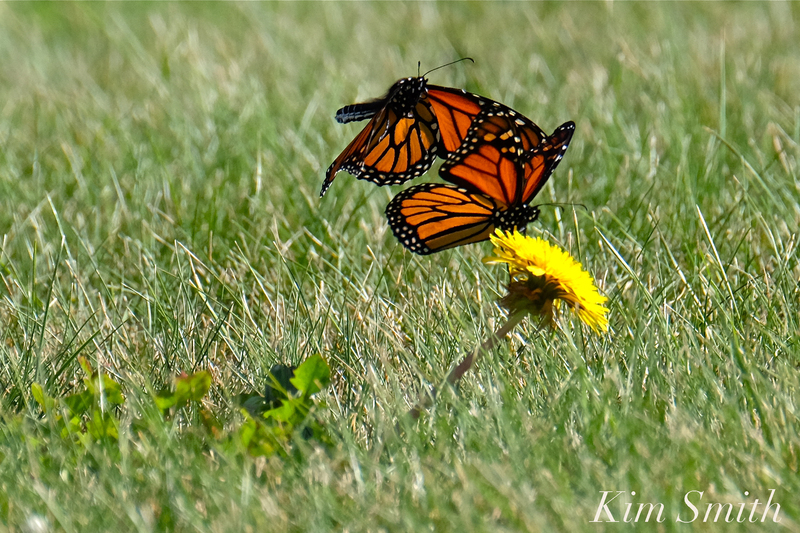 Kim, I am very interested in planting authentic milkweed plants all around our property here in Gloucester. 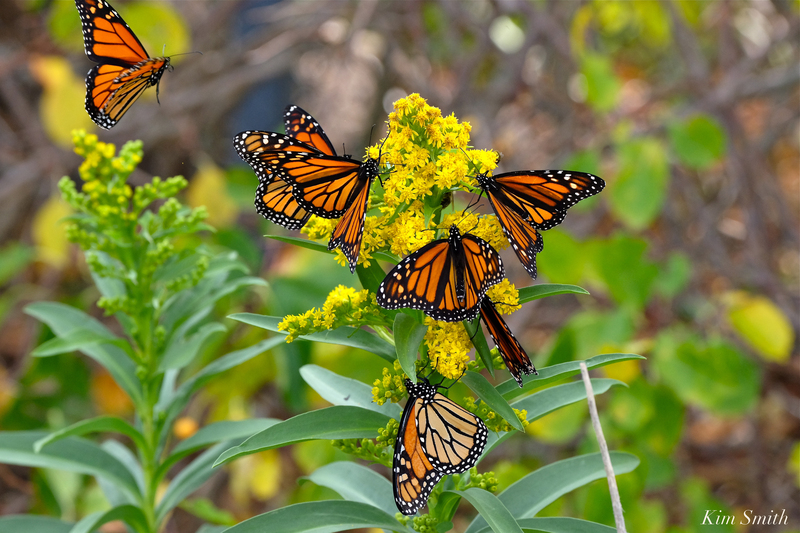 I have heard there is an invasive kind of “milkweed imposter” plant that even deceives the Monarch Butterflies, who lay their eggs on it, and it is then toxic to the larvae when they hatch and eat it. Some plant and seed suppliers were unknowingly selling this faux plant. Can you advise me about the best source for the real Milkweed plants? So much beauty. Will you be coming to our neck of the woods? Yes! Thank you Ben and miss you all! Have you released your film yet? We are so excited to see the final product! Hi Kristi, No not yet but coming soon. Thank you for your inquiry. I am also excited and looking forward to see the film! I will be going to Michoacan with Dr Emmet this Feb! Loved your trailer, pictures and information. Is there an update on release of your film? Can’t wait to continue to follow your progress. 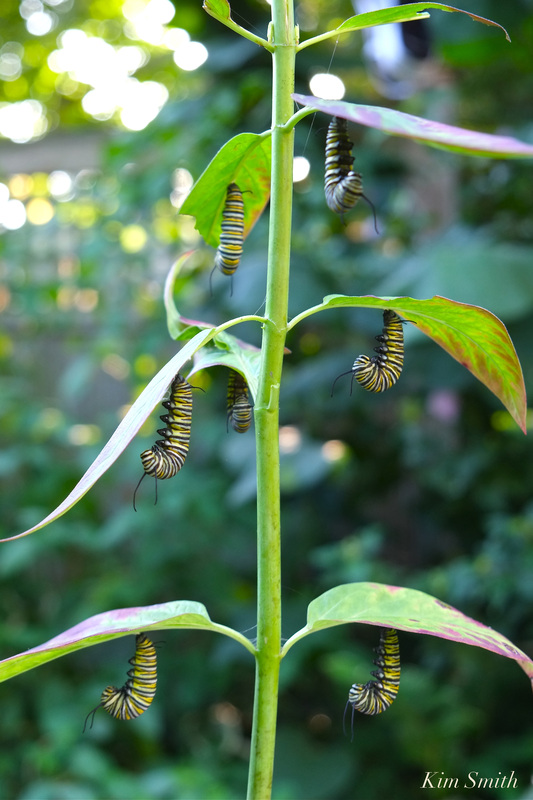 my 7 year old grand daughter has collected more than 60 eggs this year and has been raining the monarchs in her home in essex. We would love to share our story with you.